5 Life Lessons I Learned From Climbing Mount Kilimanjaro — Just Kilimanjaro (T) Ltd. 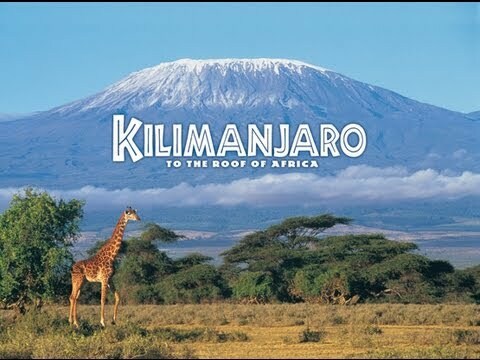 When people heard about my summer adventure in Tanzania, they asked if I was scared to climb the mountain. “Are you ready? Is it hard? Aren’t you scared?” they would rattle off as I chuckled to myself. I would sort of smile, and reply, “I’m pretty excited, but I am afraid of heights.” Most people looked pretty confused after I told them I barely made it to the second level of the Eiffel Tower when I was eight years old or that my freshman year of college I couldn’t walk across the Golden Gate Bridge without two people as buffers to the outer edge, but now I was climbing the tallest mountain in Africa? 1. Fear is a good thing. Before I left, I stumbled upon a quote by Seth Godin that said, “If it scares you it might be a good thing to try.” I always enjoy challenging myself, and facing fears are sort of an ultimate challenge. That’s never been more real to me than on the part of the hike forces you to scramble along a 600ft wall, known as the Great Barranco. You have to climb, scoot, and hike up the wall and pray you don’t look down and see the small creek at the bottom. I’m sorry to report I looked down. I immediately closed my eyes and was suddenly certain that climbing this wall was one of the hardest things I’ve had to do in my life. However, I also knew it was all in my head. I had to contain the fear and utilize the energy to keep climbing. Fear, at the end of the day, is a good thing. If you harness your fear, you can use it to motivate, to encourage, and to prove to yourself and to others that you don’t let your fears win. Overcoming fear creates a mental toughness that will pay dividends not only when you’re trying to climb a mountain, catch a spider in the house for your younger sister, or watch bats on the South Congress Bridge, but also when you have to make a presentation, confront people with issues, or you’re your own big decisions in life. I am an incredibly competitive person. So, when we began our trek up the mountain, I was sure we could cut some minutes or even an hour off the “approximated hiking times.” However, as it turns out, the mantra for the guides is “pole pole” (pronounced poe-lay, poe-lay), which means slowly. We started off on the trails and my first thought was a quote from The Devil Wears Prada, “by all means, moves at a glacial pace,” coupled with a long eye roll. I couldn’t have imagined how hard climbing uphill for seven days would be, so after the first thirty minutes I was thankful for the pace. As you hike along the trail, porters and other guides simply see you and say “pole pole,” and it’s a reminder to go slowly along the way. But the phrase, I soon realized, was for more than just for the hiking speed. The guides encourage you to take in the views, the experience, and the people. More importantly, the saying is not just relevant while climbing Mt. Kilimanjaro. I’m in college, and sometimes I forget to take in the view from West Campus every once and a while; I forget to be spontaneous just because I can, and sometimes it’s easy to forget people as I continue through school. “Pole pole,” everyone. College is only four years. 3. Don’t eat the vegetable sauce. Do you remember when you were a little kid and your parents made you have three bites of everything on your plate? Do you remember when you didn’t get to have dessert until you finished your vegetables? After a few days on the trail, I had reached a point where I couldn’t manage 3 bites and I certainly wouldn’t have gotten dessert. They served something called “vegetable sauce” with almost every meal. I cringed whenever I heard the word. It is a word I associated with a guaranteed upset stomach and a certain berry flavored tablet you can put in your water that I hope to never use again. The best thing about making it to the top was that they no longer had any reason to force me to eat it. At the end of the day, the life lesson we can all gain from hiking Kili is just don’t eat the vegetable sauce. You don’t know what’s in it, and you will definitely regret it. On a more serious note, we all have things we can’t change. Randy Pausch once said that “we can’t control the cards we’re dealt, just how we play the hand.” We will never know what’s in vegetable sauce, but I know that my experience on Kilimanjaro would not be the same without it. Even the things or people we don’t like can positively influence parts of our lives, so embrace your bad card every once and a while, it won’t ruin the entire hand. 4. Tired is not an illness. The entire hike, I worried about making it to the summit. My legs hurt. I couldn’t eat. I was cold. I remember days where I struggled to put one foot in front of the other. The summit hike on the night of day six and the early morning of day seven (you depart at midnight and hike at night) is roughly six hours straight uphill. Every 15 to 30 minutes our guide, Solomon (an incredibly fitting name), would ask how we were doing as we ascended the mountain. After about two and a half hours he turned to me and said, “Jambo, Nancy!,” which essentially means “how are you doing?” I sort of wryly smiled and said “I’m just so tired,” and I am sure he could see it written all over my face. He looked back at me and said, “Tired is not an illness, so we’re not turning around.” Solomon’s wise words could not be more applicable, even to our non-mountain climbing lives. Often times at school, at work, or while climbing a mountain we just tend to wear down as the journey progresses. Most of our jobs as students, interns, or hikers revolve around maintaining a mental attitude that motivates us to keep studying for that exam, making that excel model, or trekking up that mountain. We just need to remember that “tired is not an illness,” and we shouldn’t turn around. Studying, working, and hiking all have their own purposes. Even though you don’t understand why you need to know accounting, don’t want to rebuild your model, or can’t see the top of the mountain, just keep pushing forward. The class will end. The project will stop. And I promise the view from the top is worth it. 5. We all have stories. As it turns out, Mount Kilimanjaro is not wi-fi enabled, so I had to spend two weeks in Tanzania (with a couple exceptions) talking to the people on my trip. Initially wary of the lack of phone usage, I soon adapted to some old school communication methods, from writing letters to chatting in front of fires. We told stories from elementary school, awkward tales from middle school, absurd high school drama, and incredible adventures. We all have stories. Whether they come from family trips to Brazil or the time you tried to jump over a wall and missed. I think most of the time we just forget to tell them to each other. We forget that we make stories every day. After hearing about my friend pulling a row boat to shore in a hippo pool, after listening to my guide talk about his first trip up the mountain, and after rattling off my own tale about a fall down a switchback, I realized we all have something to say. We all have moments that we can share with each other. Be adventurous, take a step back, and remember to tell your story.